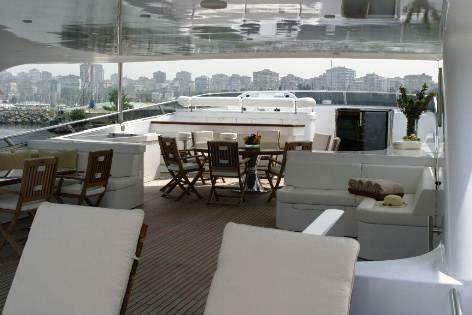 Motor Yacht AZURE SKY is a custom designed 36,00m (118' 1") yacht launched in 2005. that accommodates 10 guests in 5 well appointed cabins. 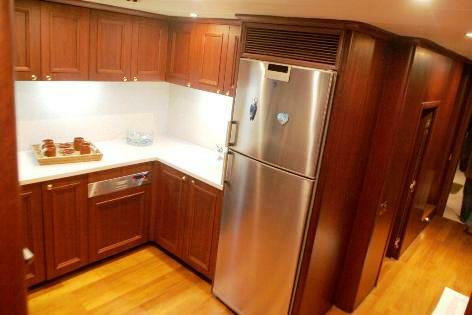 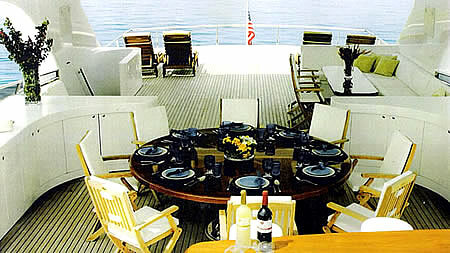 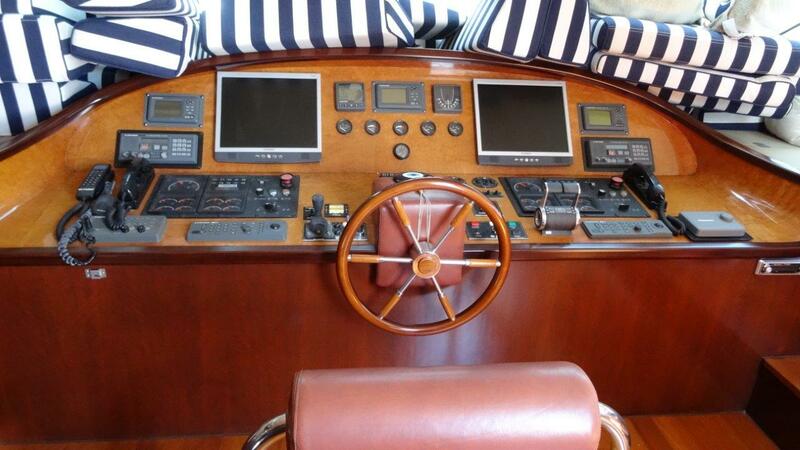 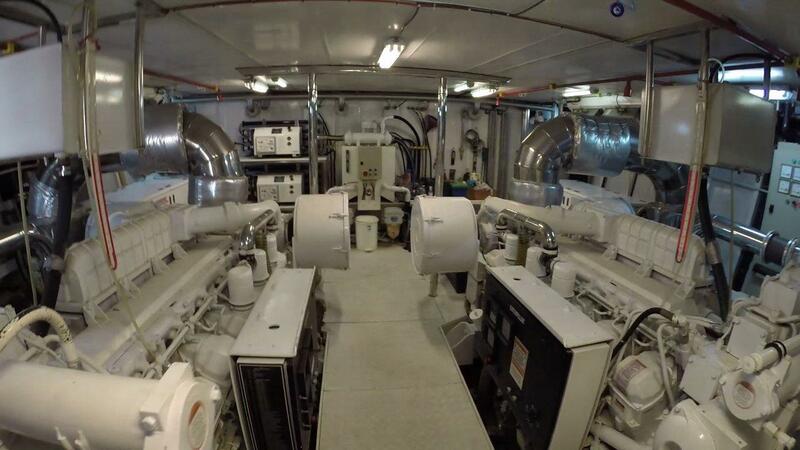 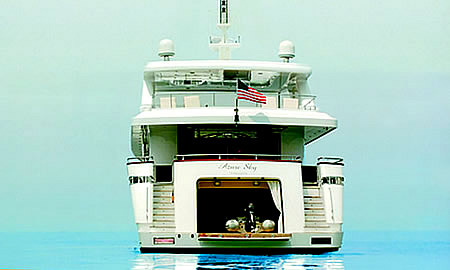 AZURE SKY'S NOTABLE FEATURES: Great selection of watertoys ~ Ample relaxing spaces both inside and on decks ~ Great crew. 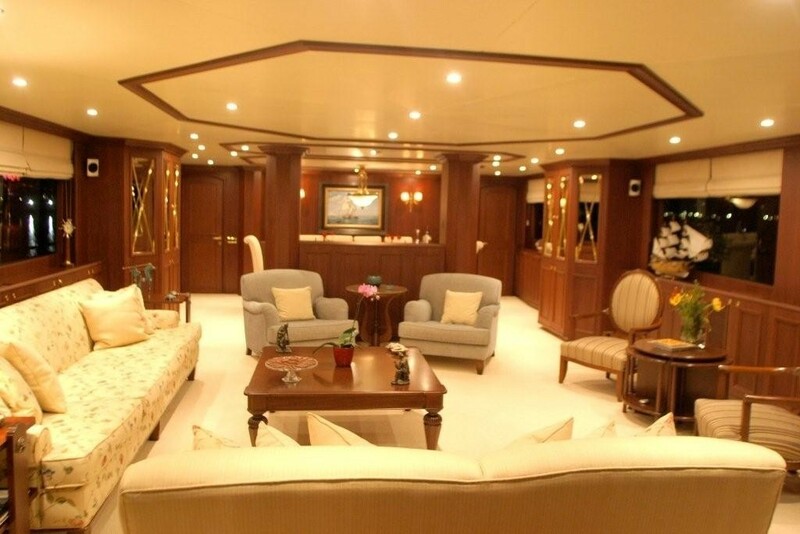 Her interior features minimalist decoration and boasts plenty of space. 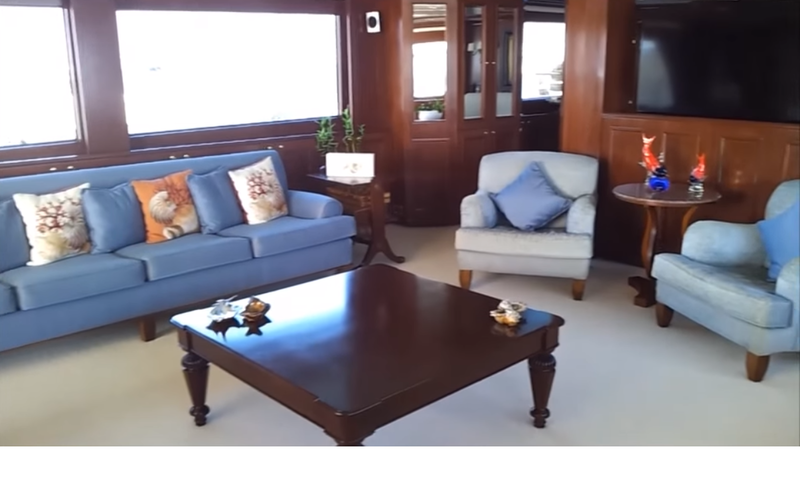 Her salon is well laid out, with great views and plenty of space to relax with 2 comfortable couches, and 4 occasional chairs. 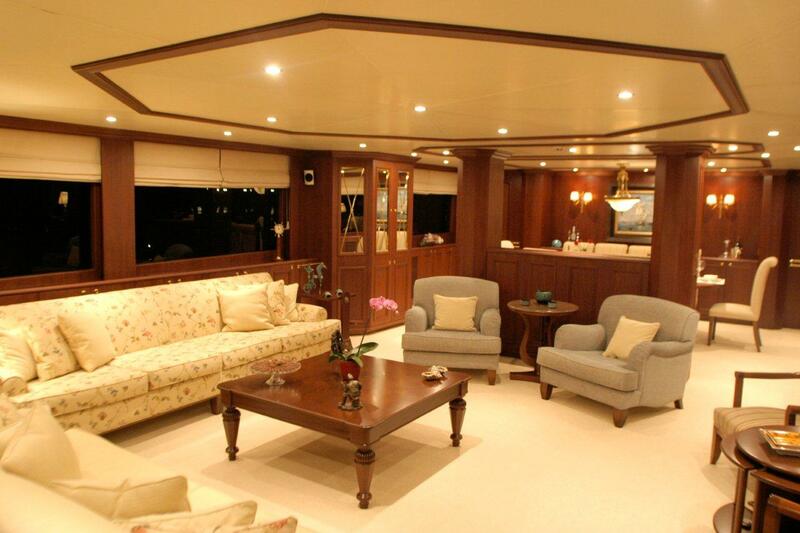 The salon and dining area are separated by a central wall that houses the huge flat screen TV. 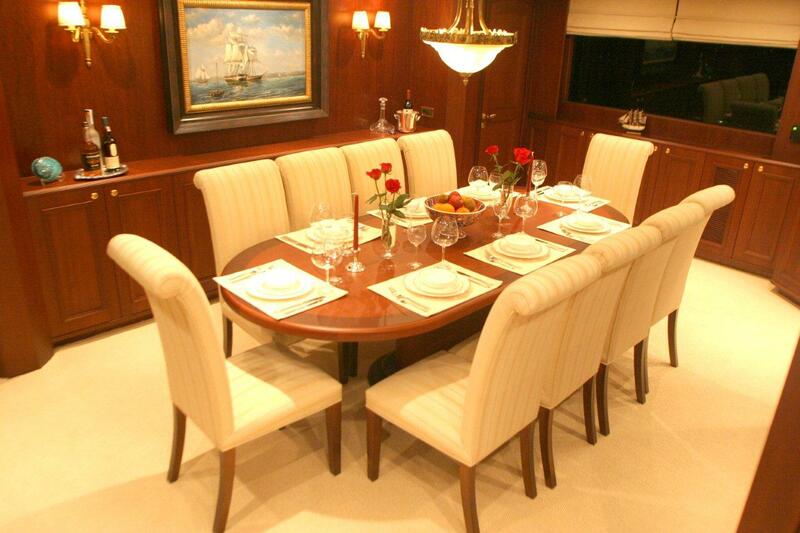 The elegant dining table has room for up to 10 guests. 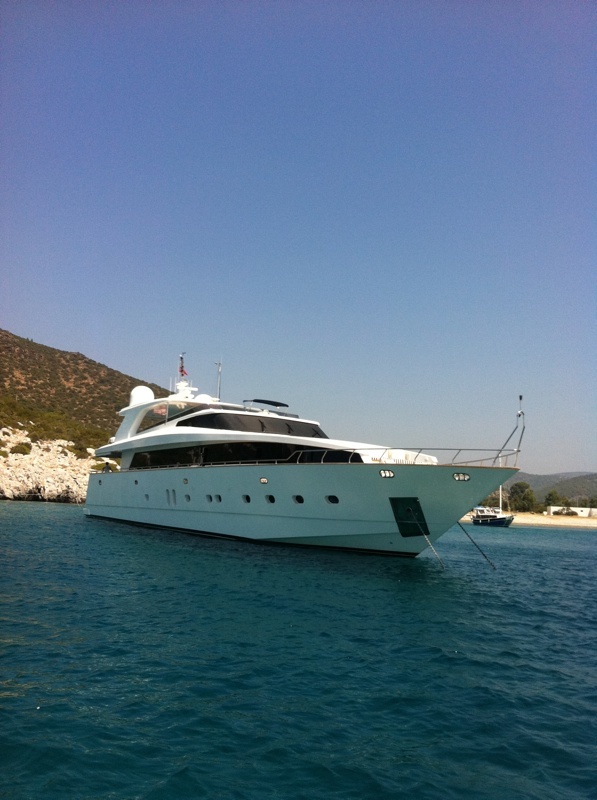 As well as the spacious interior, motor yacht AZURE SKY also offers roomy exterior spaces to suit any mood. 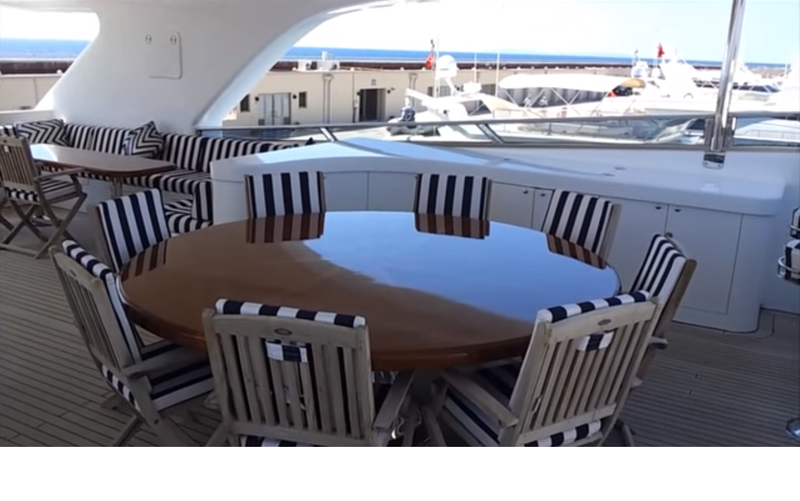 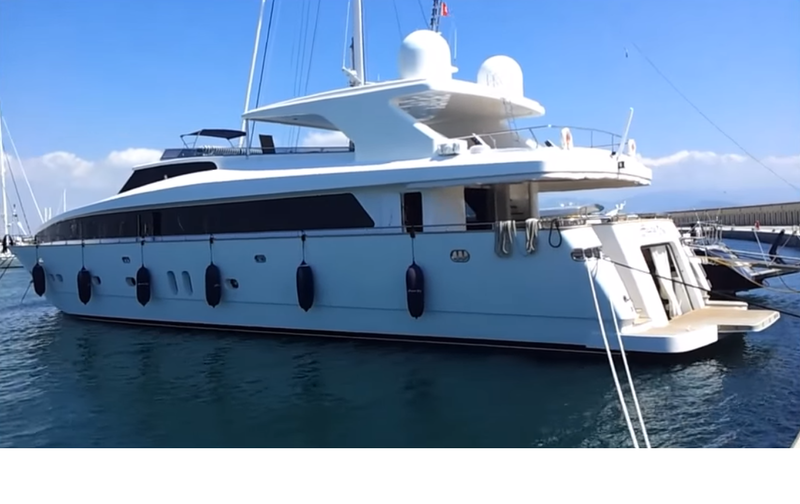 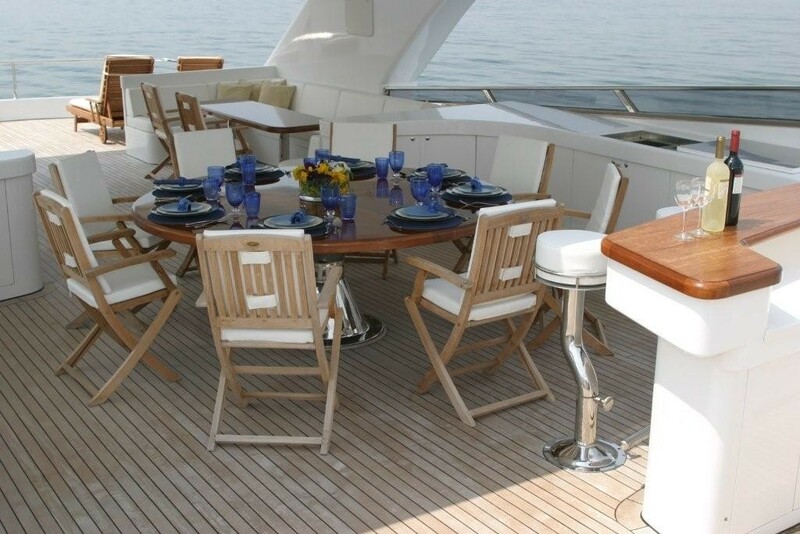 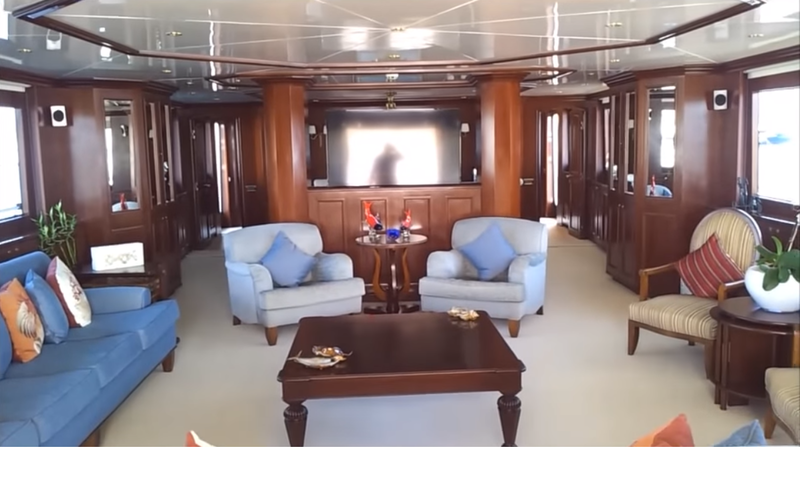 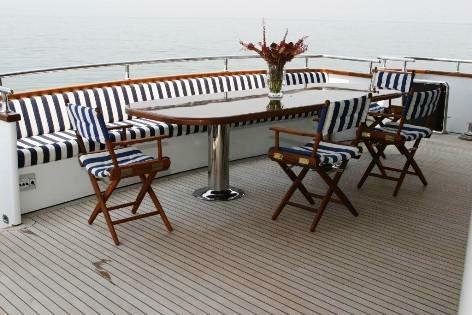 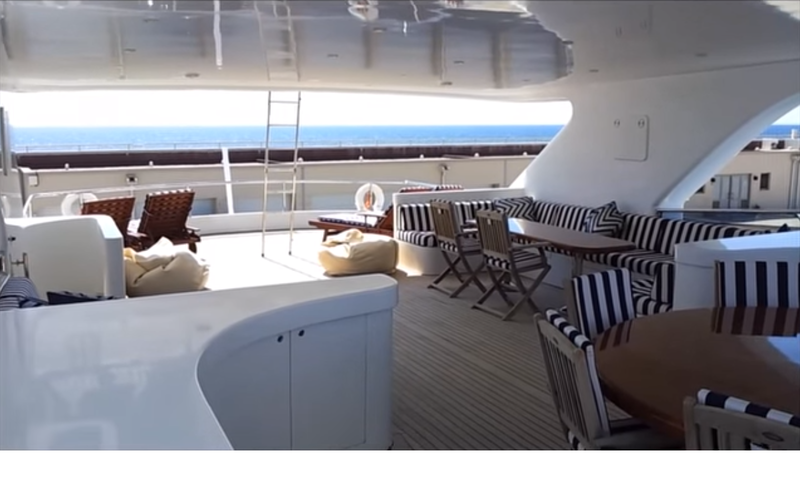 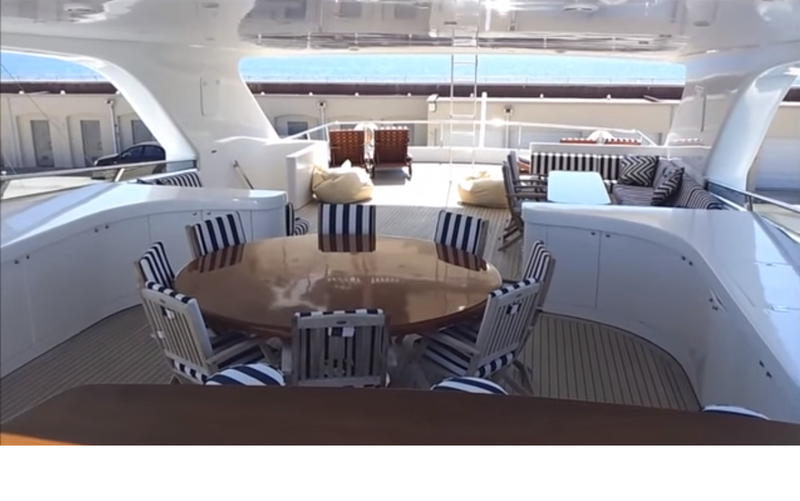 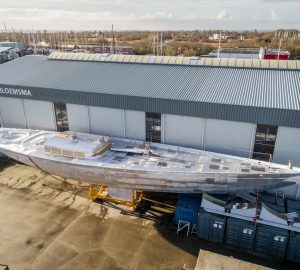 The large aft deck has a couch fixed to the aft with an al fresco dining table and there is further space to dine on the top deck as well as couches and sun beds to relax on. 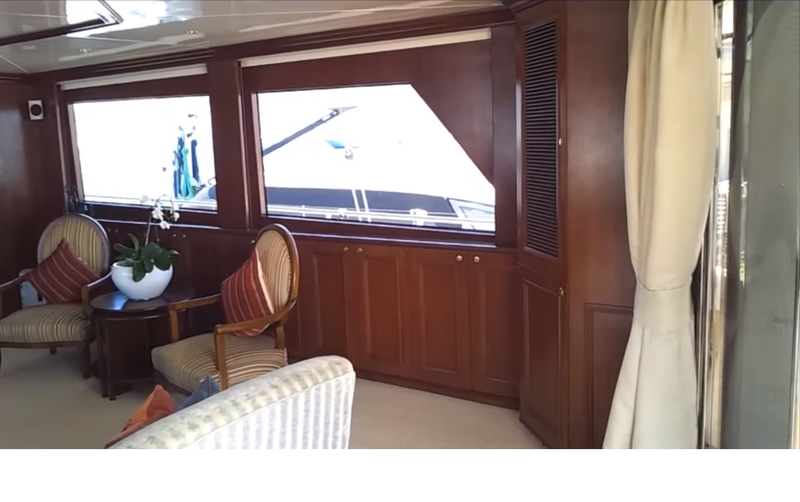 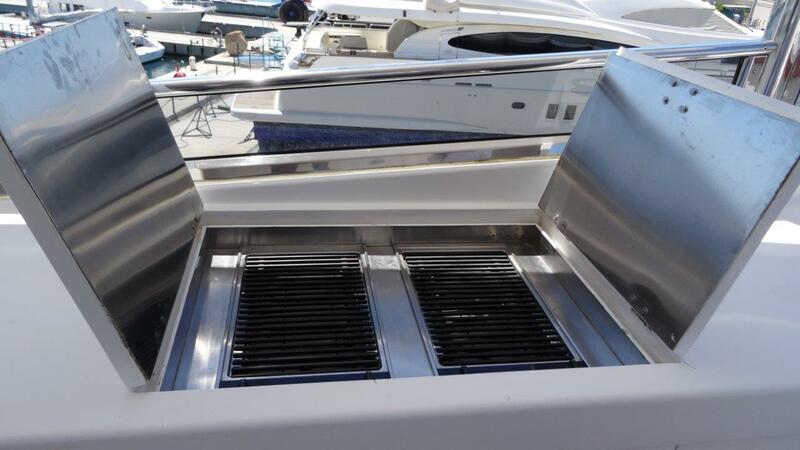 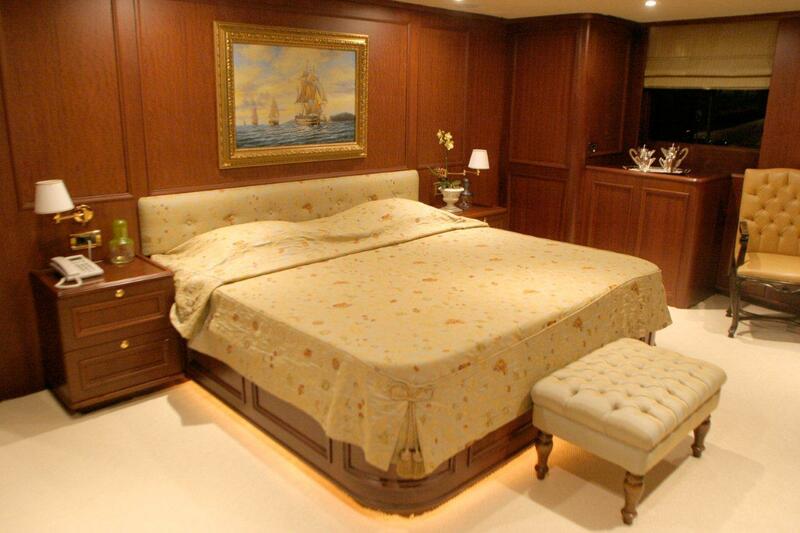 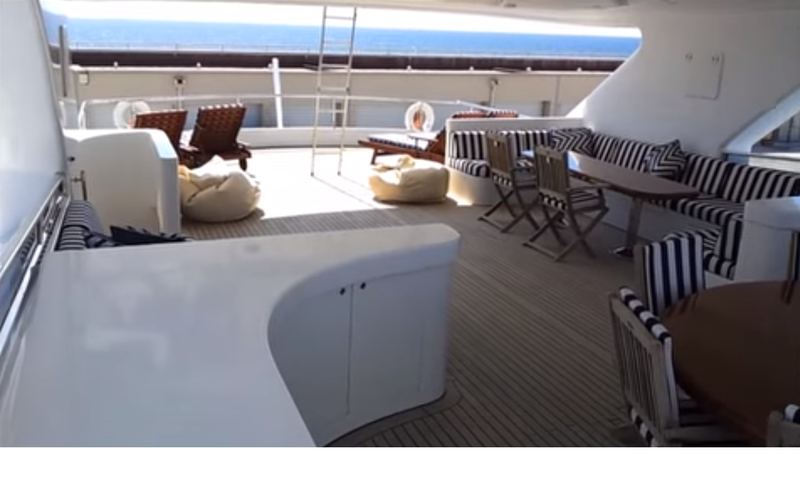 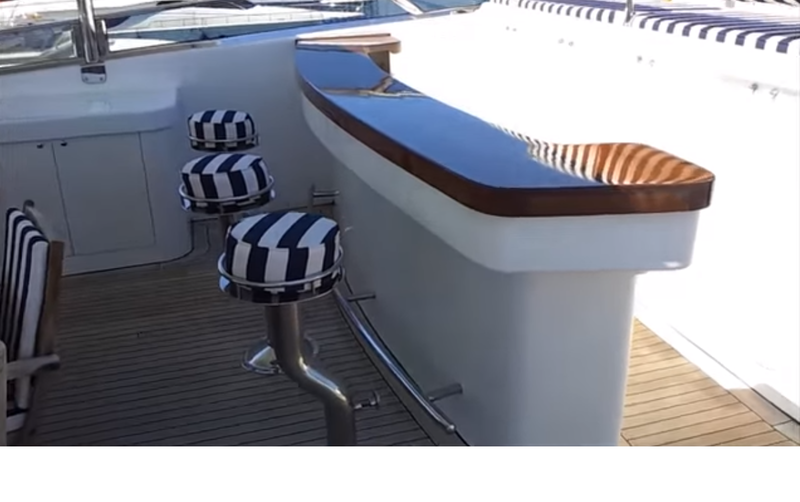 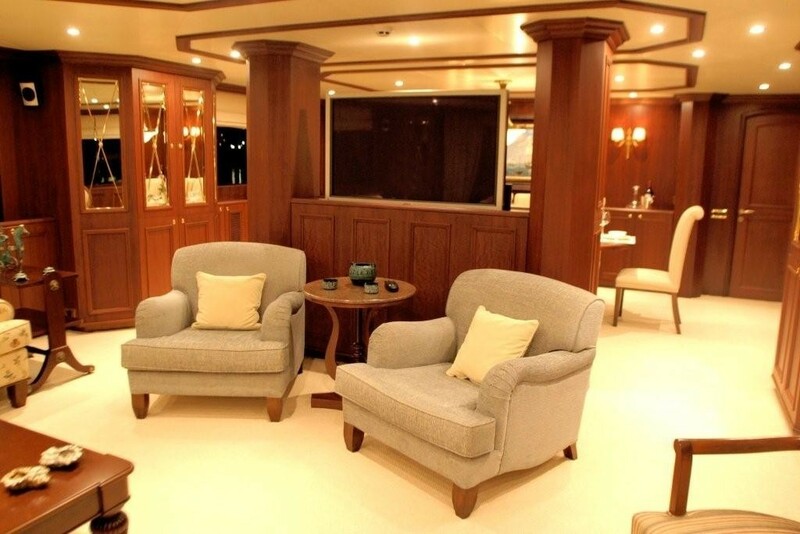 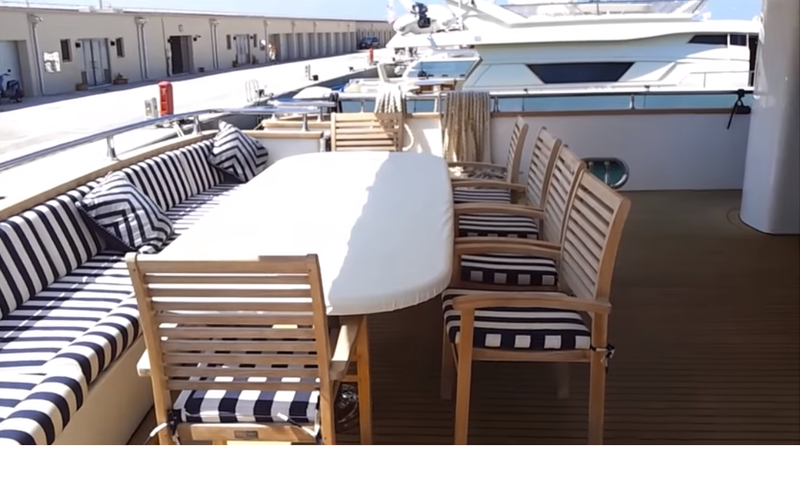 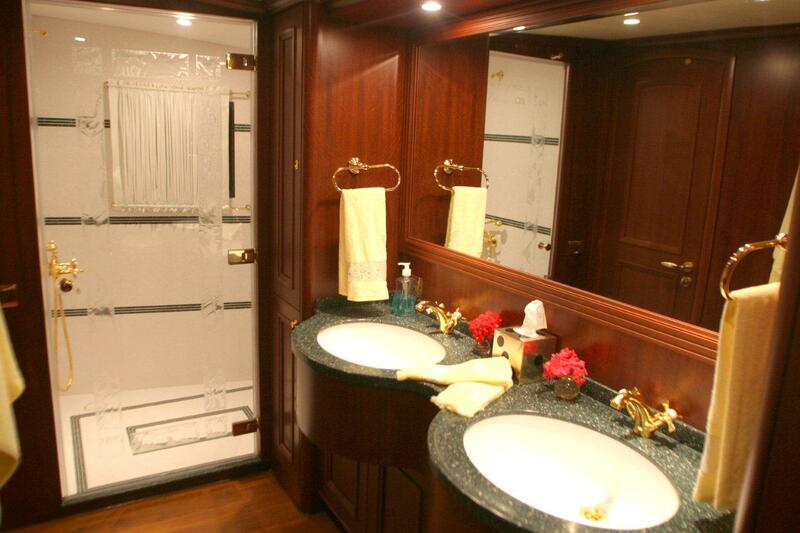 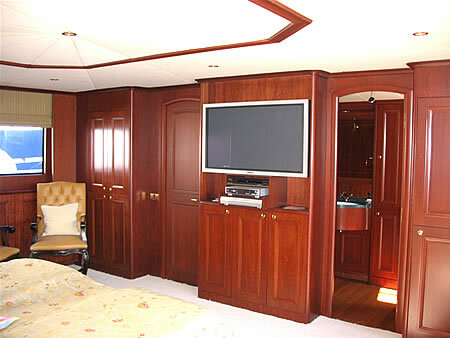 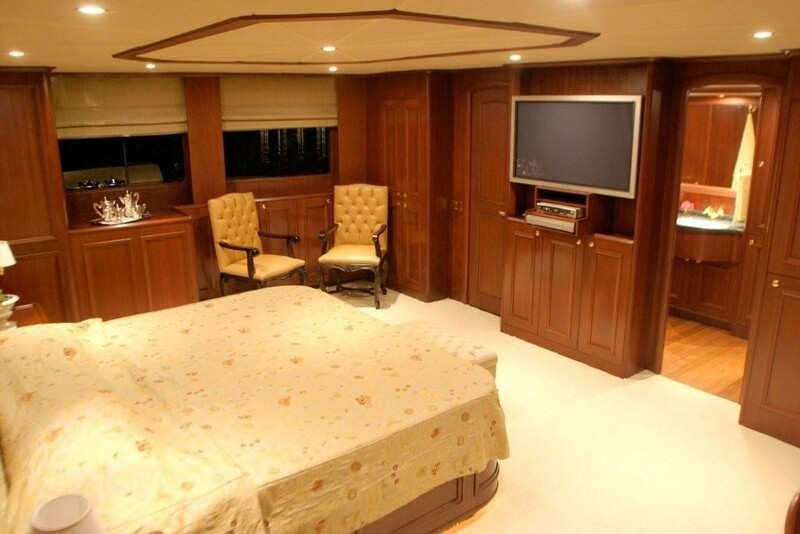 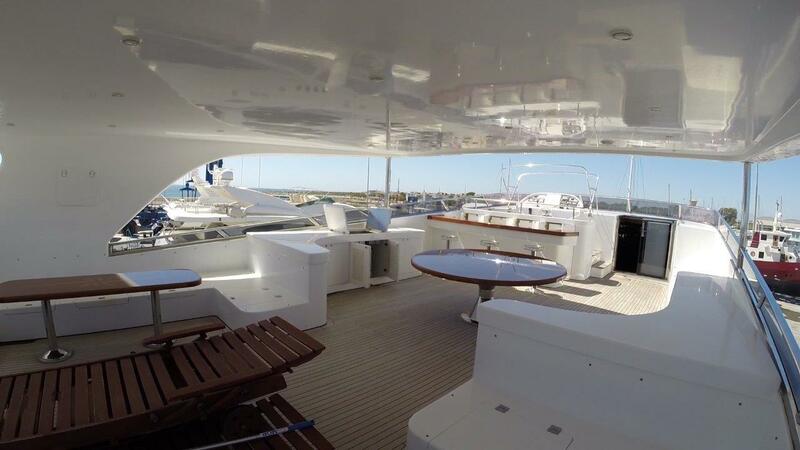 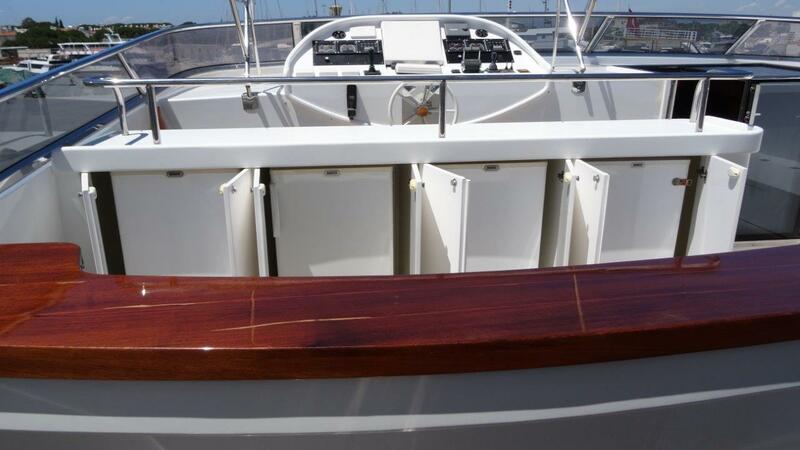 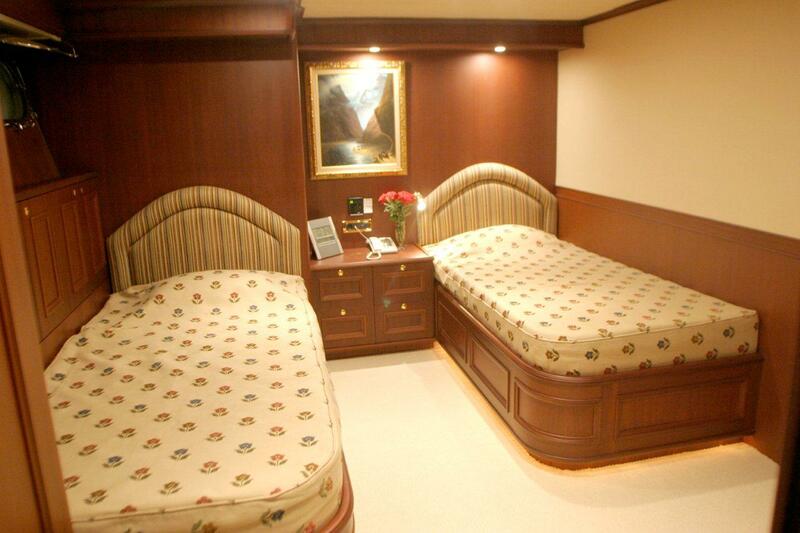 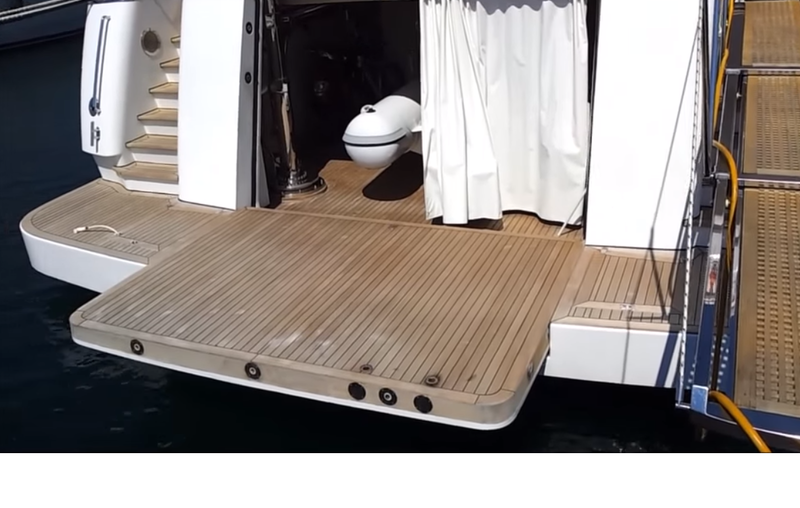 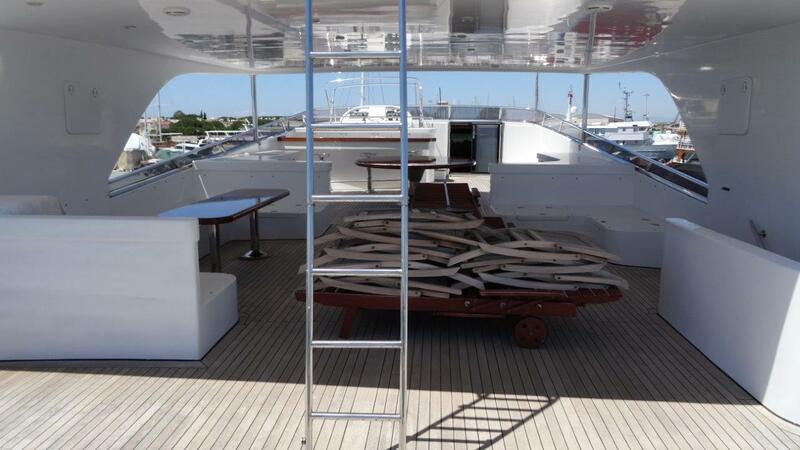 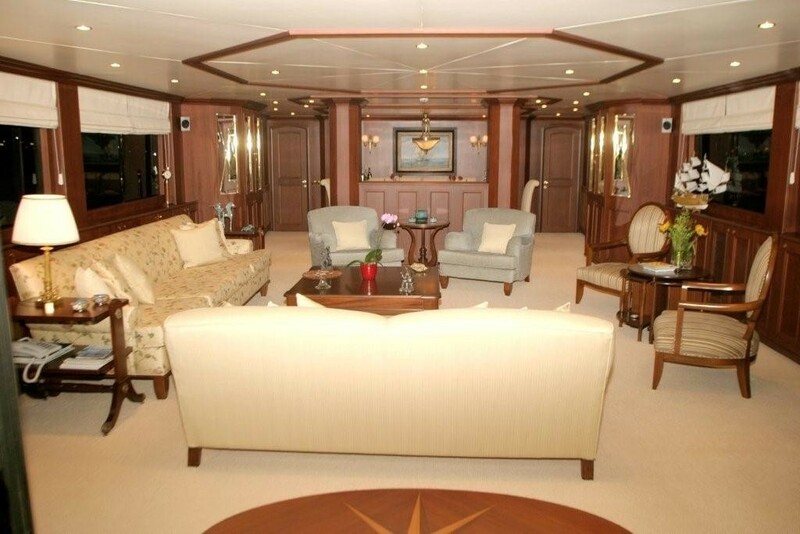 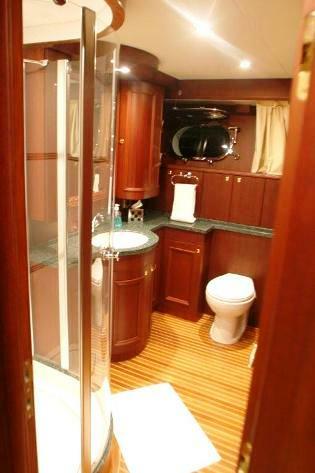 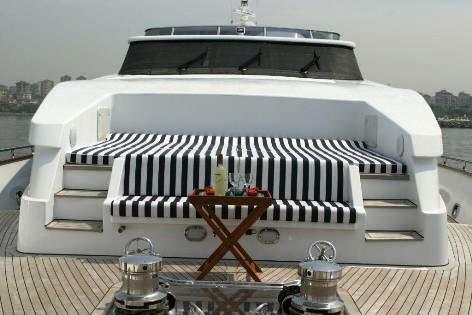 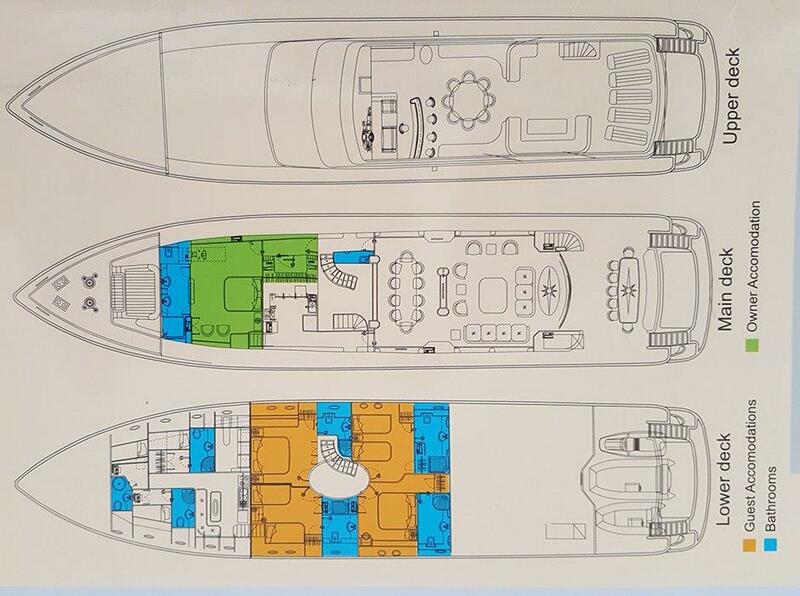 There are also built in sun beds forward of the yacht, perfect for sunbathing in privacy. 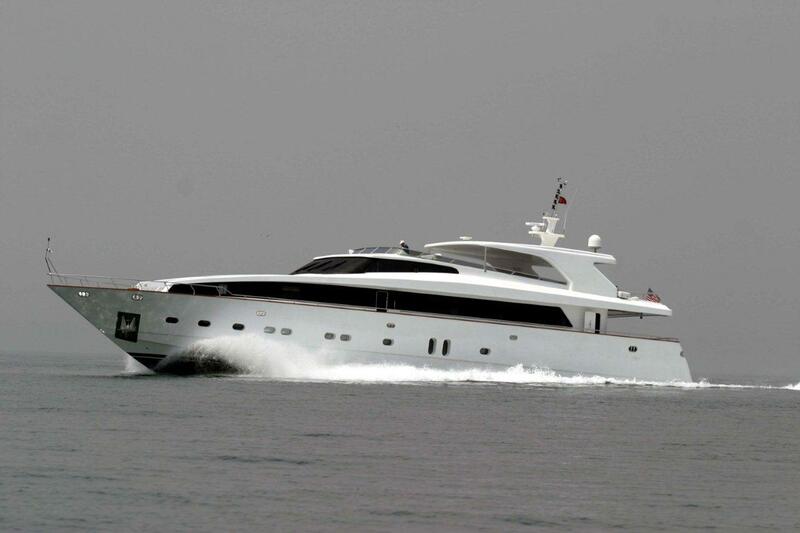 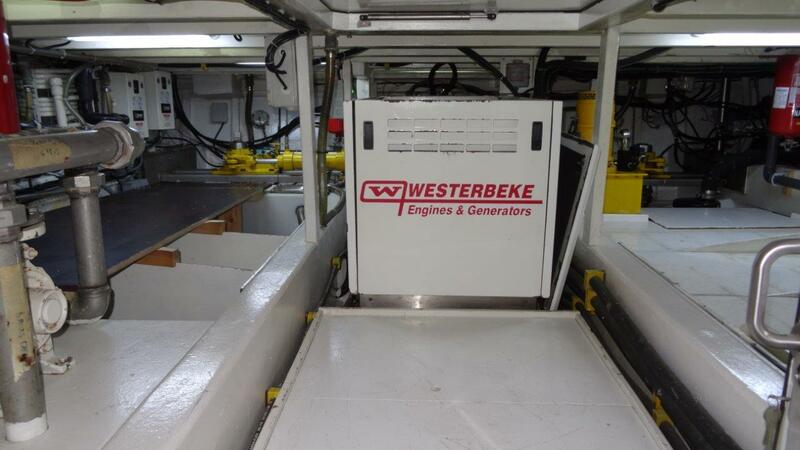 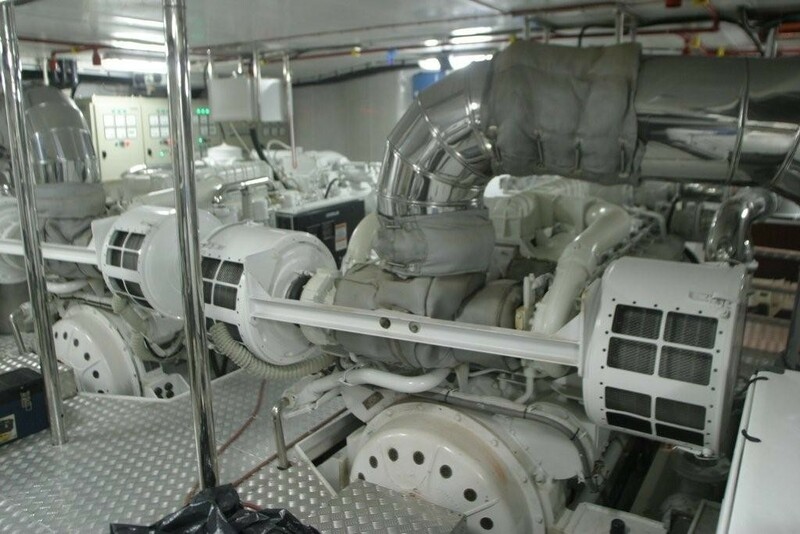 AZURE SKY is able to attain speeds of 20-24 knots thanks to her twin 2285 hp Caterpillar engines. 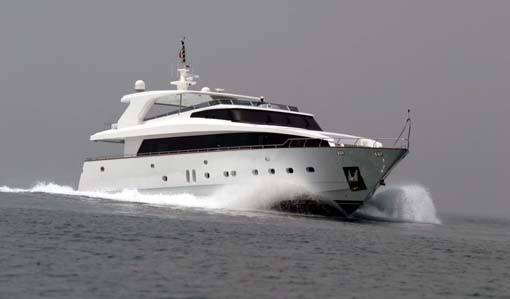 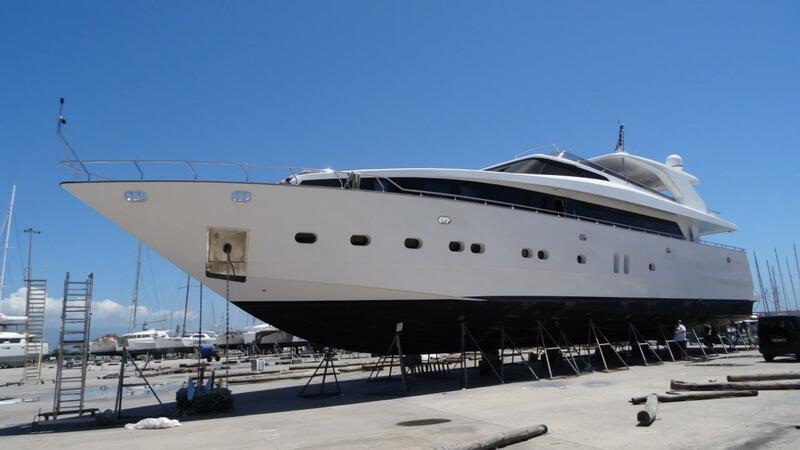 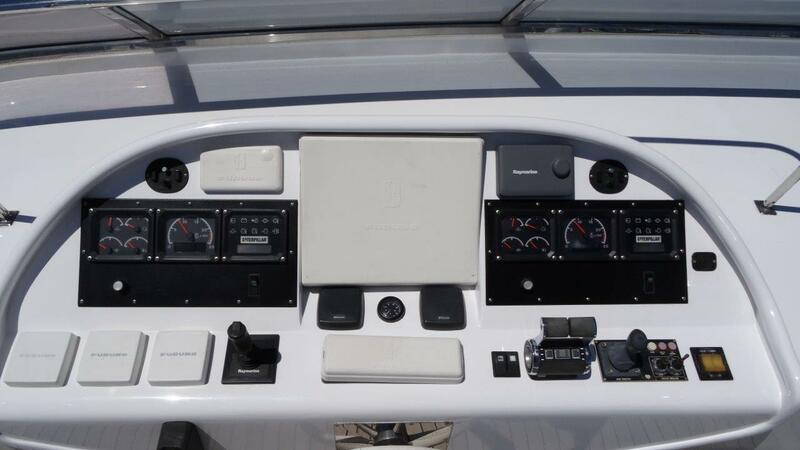 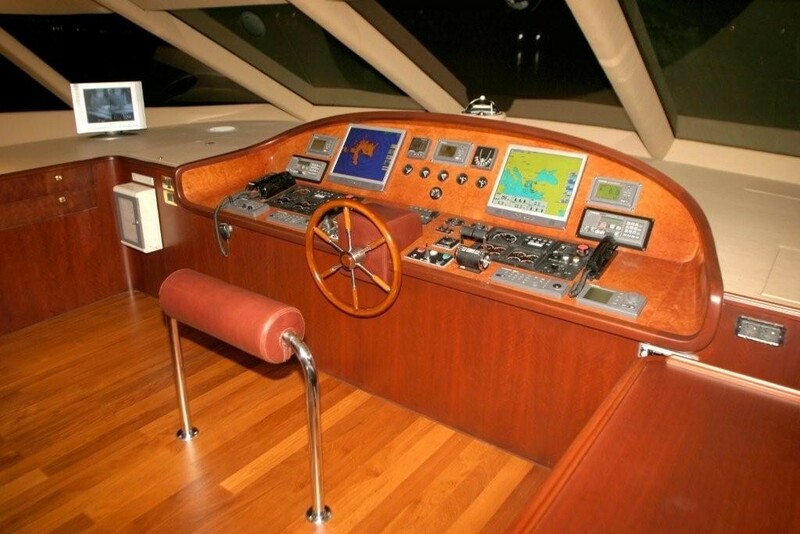 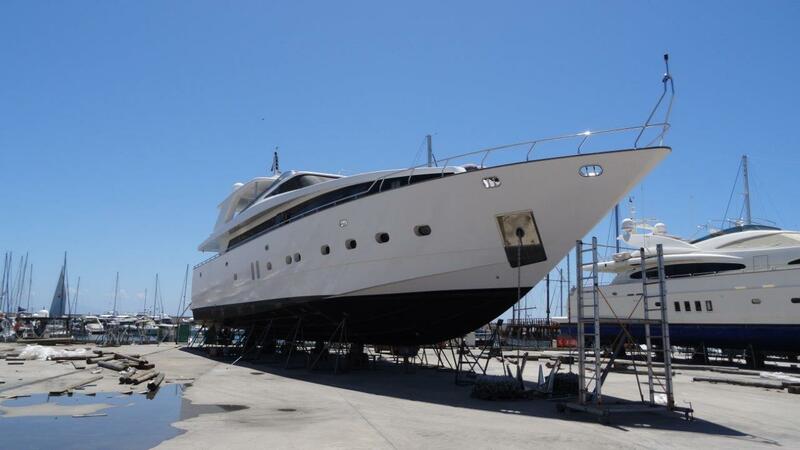 She is perfectly maintained and thoroughly equipped with state-of-the-art technology, safety equipment and entertainment equipment. 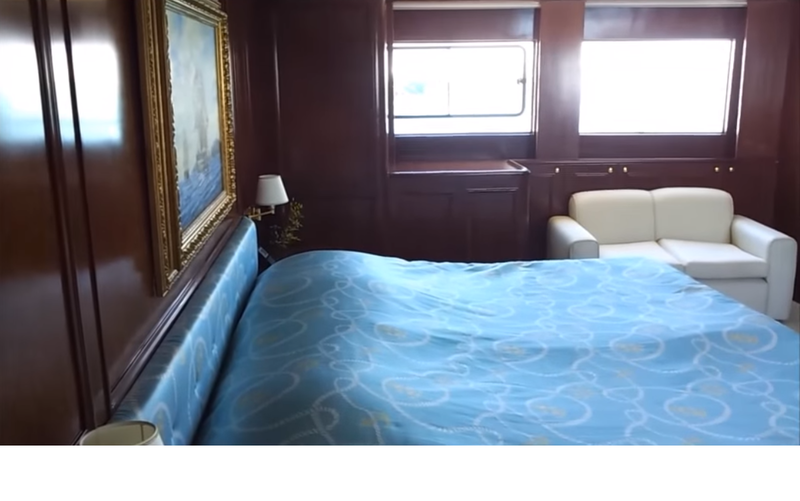 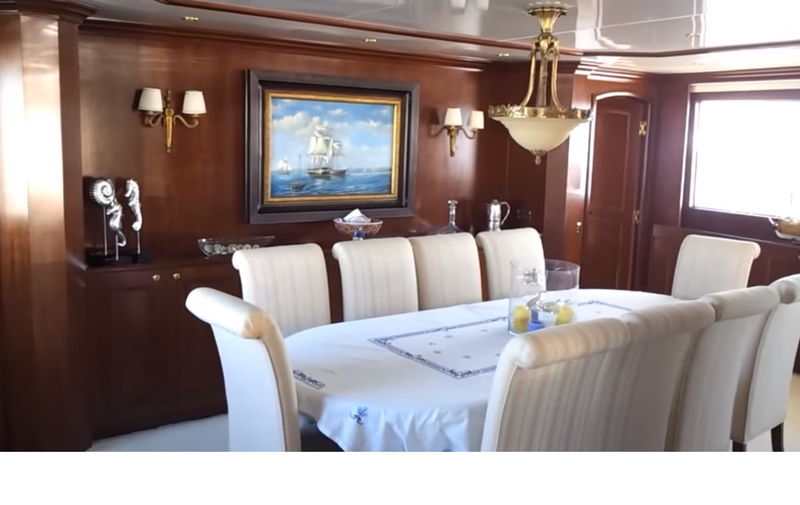 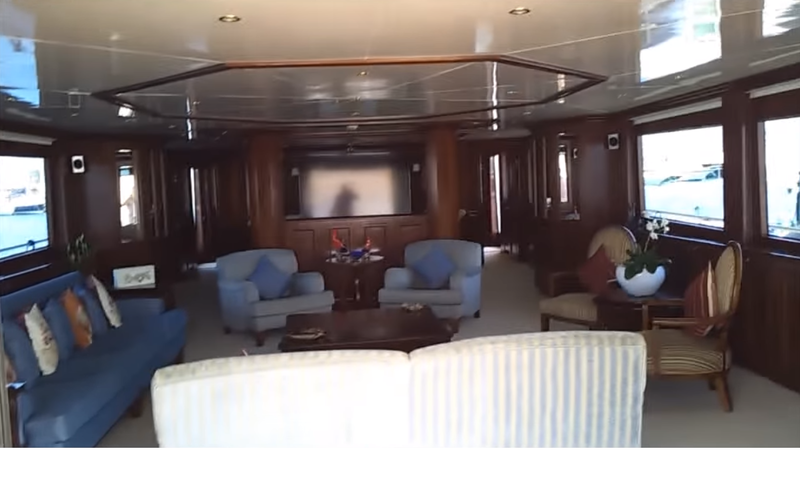 Furthermore, she has an experienced and qualified crew of 6 who have a great charter reputation and who will make sure your experience on board makes great memories for all your guests. 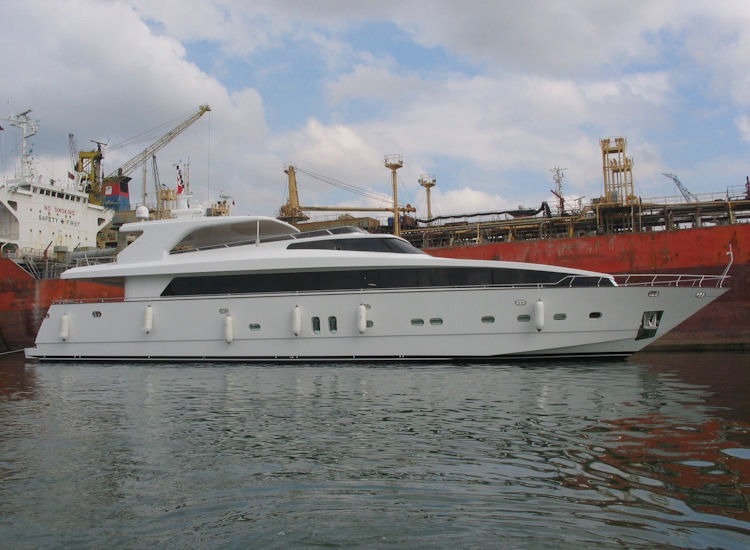 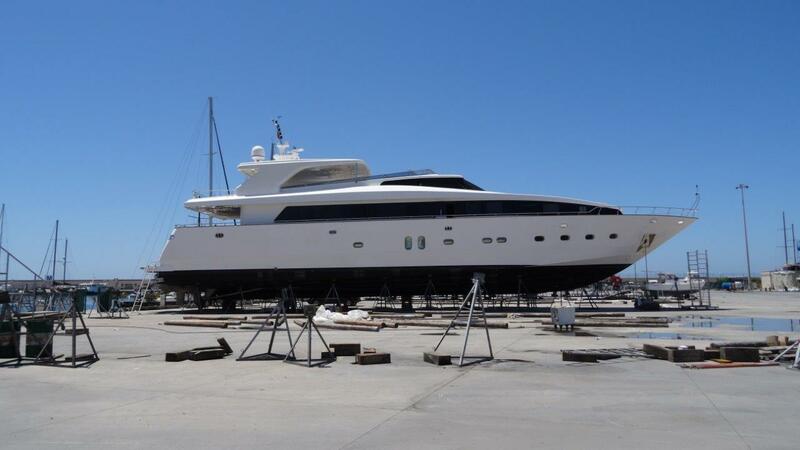 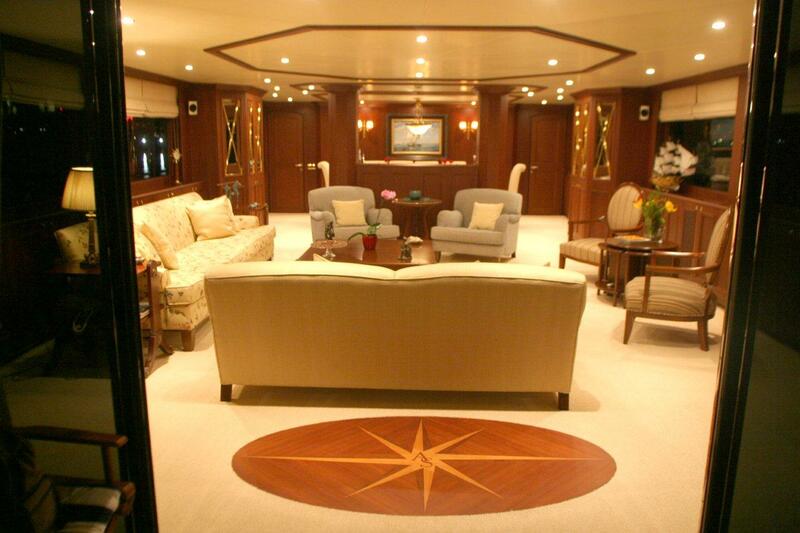 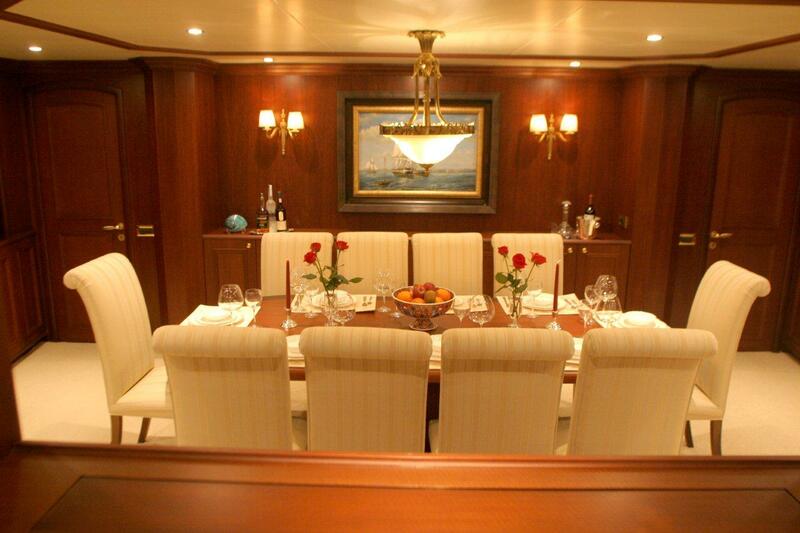 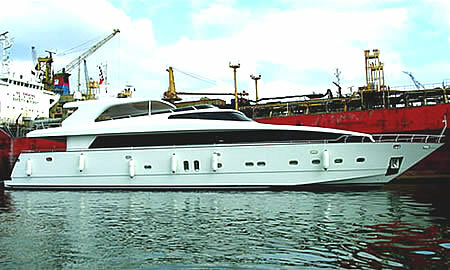 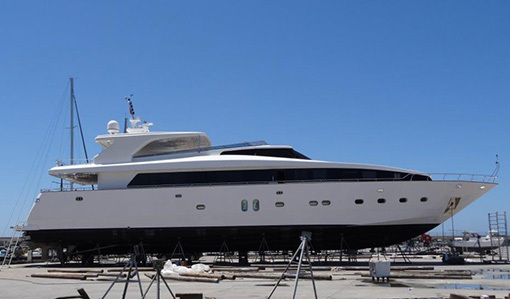 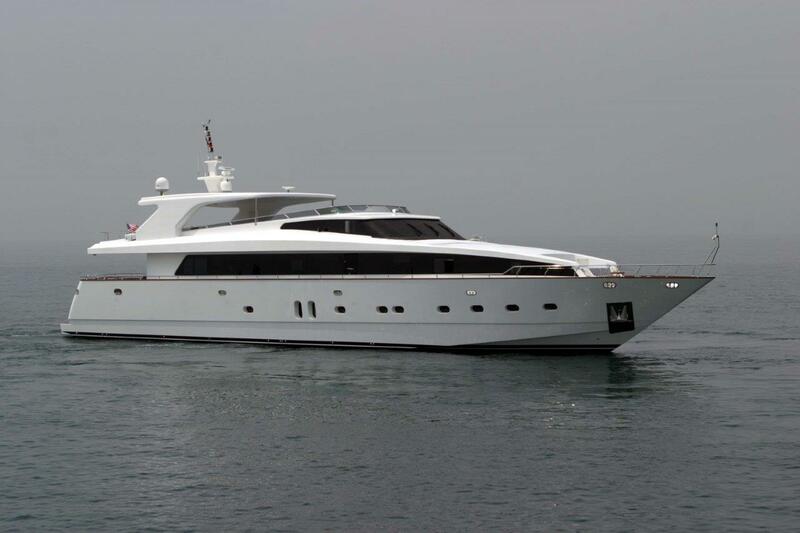 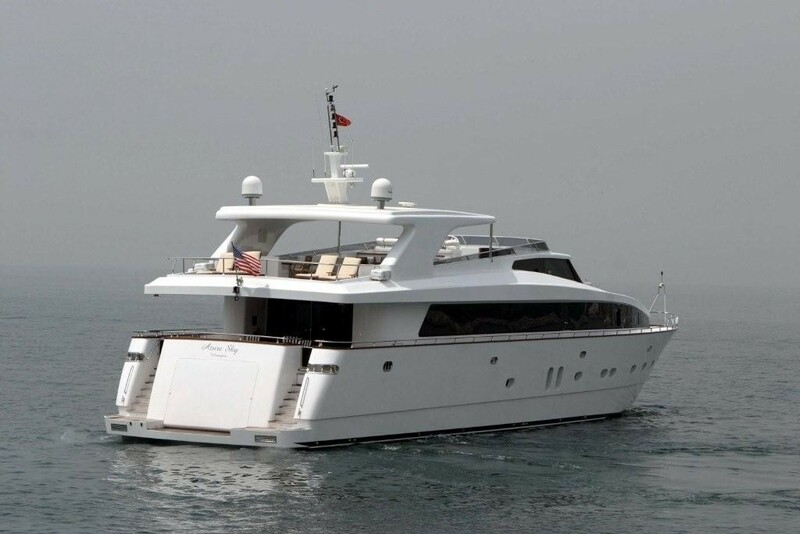 Motor yacht AZURE SKY can accommodate up to 10 guests in 5 cabins. 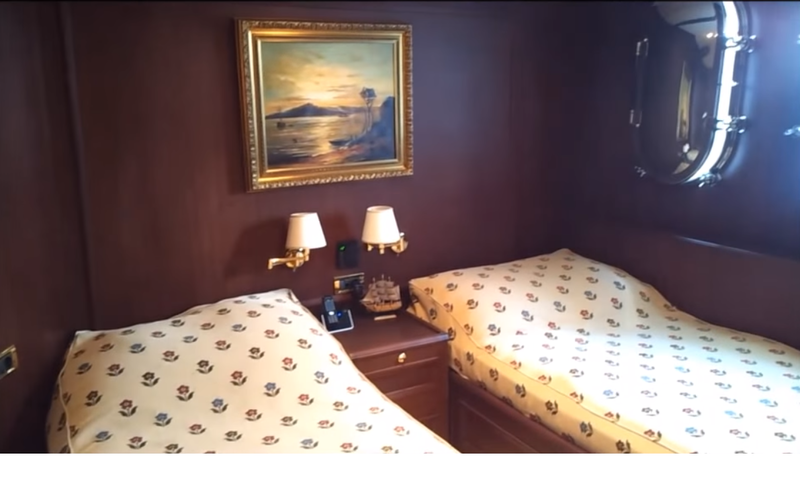 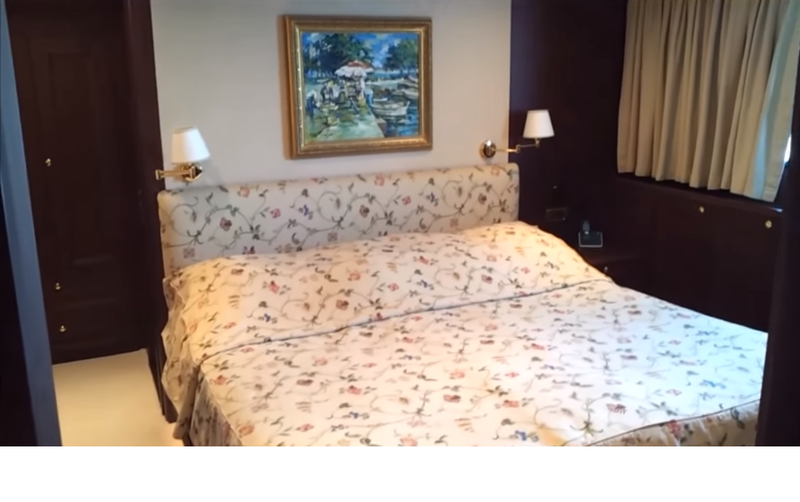 The Owner's Cabin is located on the Main Deck and features a king size bed en suite walk in closet, bathroom and a treadmill installed in a locker. 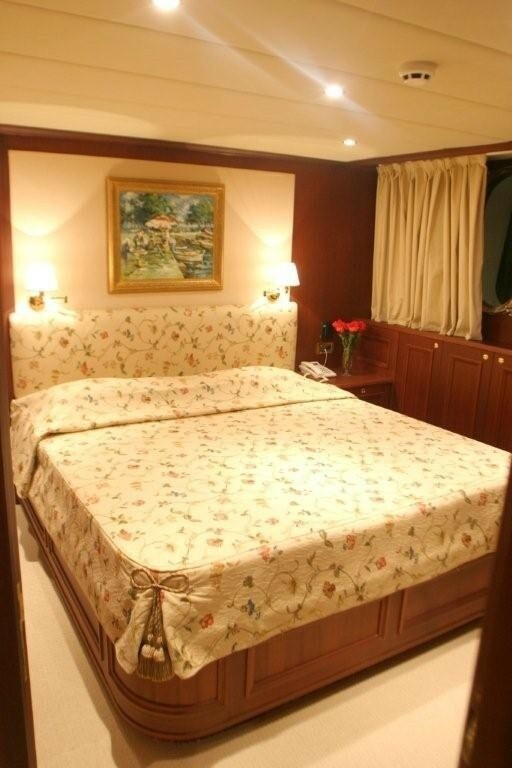 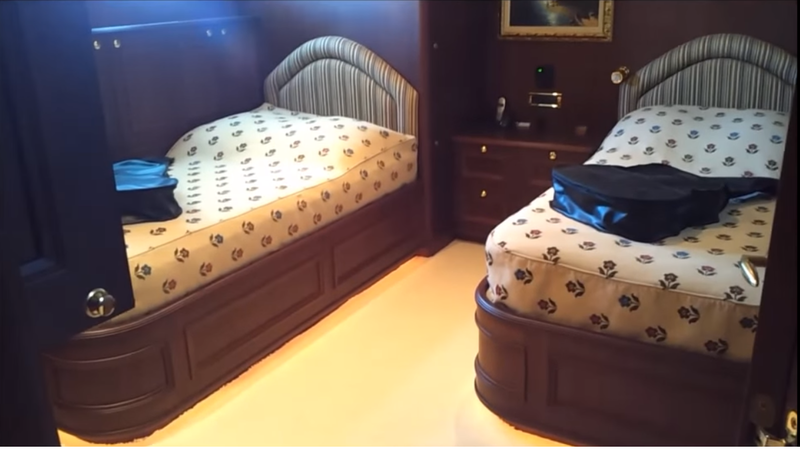 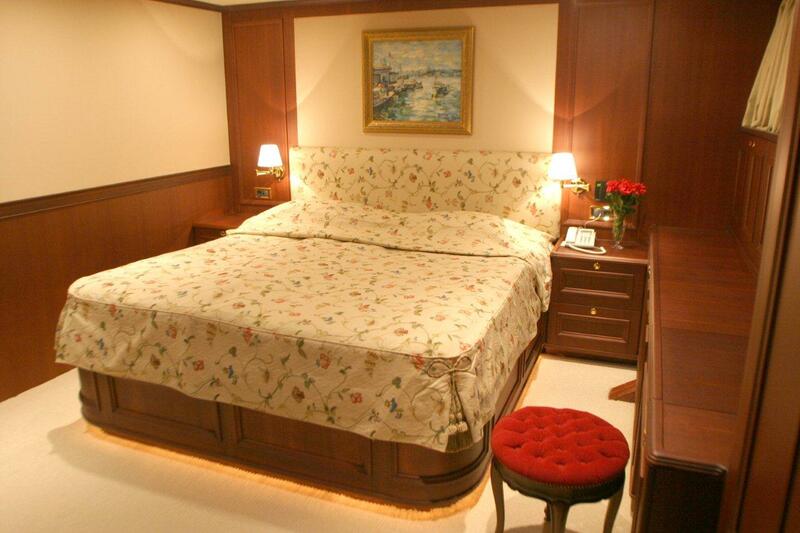 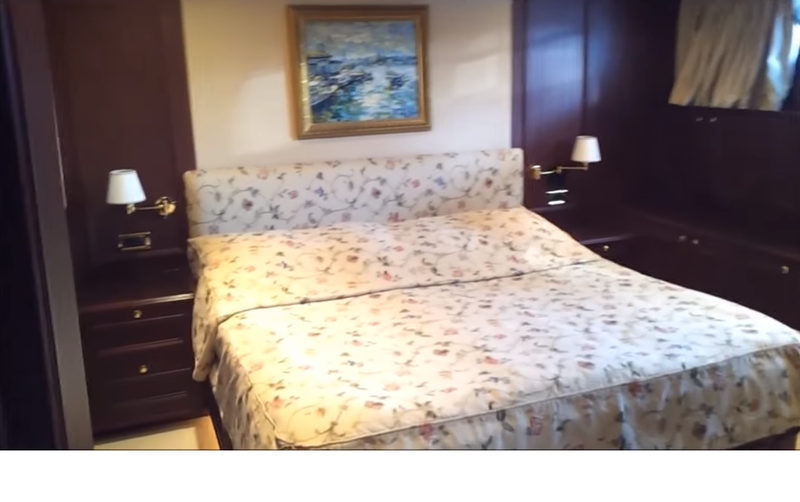 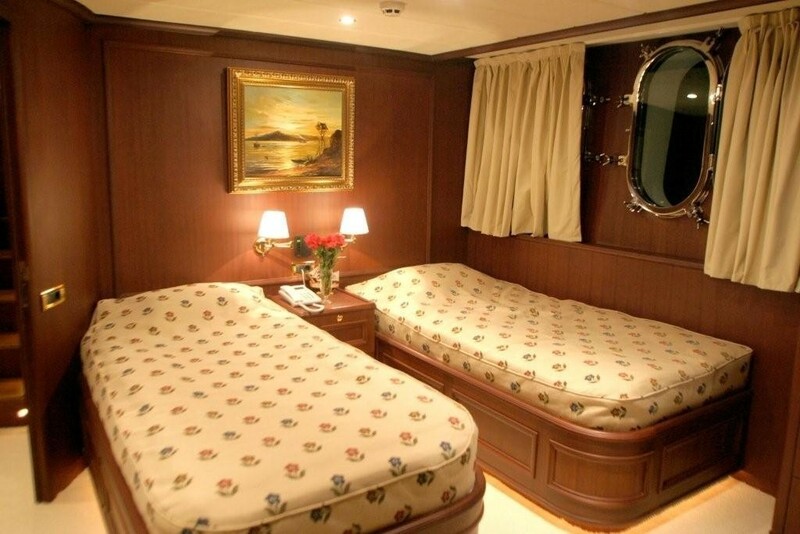 There are 2 VIP suits with king sized French beds and 2 VIP Suites with twin beds on the lower deck all with ensuite bathrooms. 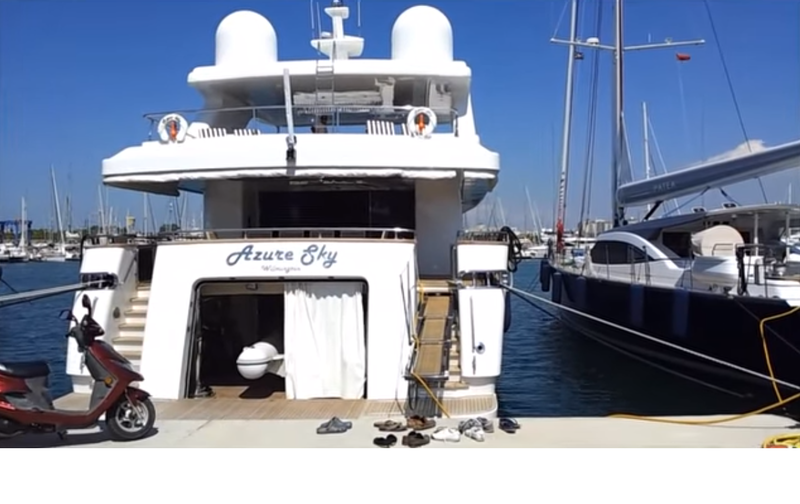 Luxury motor yacht AZURE SKY has a great range of extras onboard including a Novurania 360 with 40 hp Yamaha outboard, a Yamaha 12000 ccc Waverunner jetski, 2 motorcycles, Water Skis, a wakeboard, 2 doughnuts, Fishing Gear, 2 wet suits plus diving gear and Snorkelling gear.